It has been a while that the figures of Evolution Miniatures won modelers’ approval with their casting quality and detailed sculpting of Sergey Traviansky. Especially the latest series of the company - Special Forces in Afghanistan figures are top quality figures to display alone or use together in Afghanistan scenes. After the first figure of the series reviewed before - EM-35046 U.S. Special Forces Operator, here comes the another element of the team ; EM-35047 U.S. Special Forces Operator -2. The kit comes well packed in standard 70x100x35 mm hard cardboard box of the company. The front part of the box shows a photo of the figure painted by Andrey Skiba and serves as a basic painting reference. Inside the box, the parts are represented with the casting blocks. Body and other parts - head, arms and weapon - are seperately inserted into two small plastic zip-lock bags to avoid unexpected damages during transfer. The figure is sculpted by Sergey Traviansky and comes in 5 grey color resin parts. The parts can be easily removed from casting blocks and need no serious cleanwork before assembly. Body with head, right arm and legs : Facial details, moustache and beard are very well represented. He shows an elder apperance than the first figure with his heavy beard giving him a look of higher rank or more combat experience. He has a head scarf on his head and carries dust goggles on his forehead over his scarf. Note that a boom microphone will be need to scratch to add to the left side. He wears DCU-Desert Combat Uniform, featuring the three-color desert camouflage pattern of light tan, pale green, and brown. This uniform also known as “coffee stain camouflage” was developed to replace the 6 color desert camouflage "chocolate-chip camouflage" uniform, which was deemed unsuitable for most desert combat theaters. As opposed to the original six color DBDU, which was meant for a rockier and elevated desert battlefield that was often not encountered and replaced the former DBDU. The DCU was meant primarily for a lower, more open, and less rocky desert battlefield space which became a common sight throughout the Gulf War campaign. Cloth folds and pocket details of the uniform are well defined. He carries a Shemagh, traditional Mid-East headgear used to provide protection from sun exposure, dust and sand, wrapped around his neck. Over his uniform, he wears a stiffened mesh nylon LBE vest with MOLLE attachment system. Mesh texture of the vest, front zipper and adjustable side straps are well defined. Personal gear are sculpted on the figure. He carries two Triple M4 mag pouch on both sides in front of his vest. 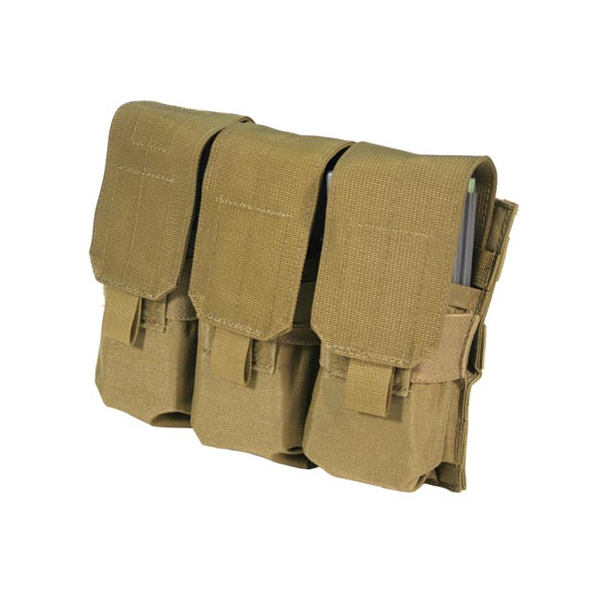 Each pouch has a capacity of two magazines which allows the figure carry twelve M4 mags. Over the ammo pouches, he has Admin pouches on both sides, used to carry maps, documents, etc. On the left shoulder, he carries a first-aid pouch. On the back side, he has a Condor Water Hydration Bag with a rubber drinking tube which is U-shaped through a MOLLE loop of bag on the backside , then comes over the right shoulder and inserted to the admin pouch on the right side. AN/PRC-148 MBITR - Multi band inter/intra team radio, in MOLLE style pouch is attached to the left side of the hydration bag. Note that antenna should be scratched . He has drop leg attachments on the both sides. He carries a thigh rig attachment for pistol holster (holster given as a seperate part) on the right side and a triple universal pistol pouch on the left. Right arm is cast on this part. 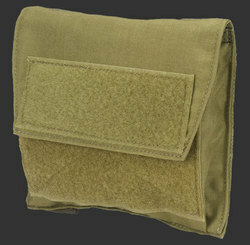 Upfolded sleeve, cloth folds of uniform, loaded pocket and wrist watch are all well defined. The hand is given on the rifle. Left arm : Posed to put on his left side, all details are very well as in right arm and finger cut assault gloves are well represented. Weapon : He carries a M4 CQBR with RIS - Rail Interface System attached foregrip, tactical light and ACOG 4xscope - Advanced Combat Optical Gunsight. The details are very well defined. CQBR - Close Quarters Battle Receiver is a replacement upper receiver for the M4A1 Carbine. The CQBR replaces the M4 with a barrel 10.3 in (262 mm) length making it the modern equivalent of the Colt Commando to provide operators with a weapon of submachine gun size, but firing a rifle cartridge, for scenarios such as VIP protection, urban warfare, and other close quarters battle (CQB) situations. Right hand wearing finger cut gloves is sculpted on the rifle. Pistol in holster is given as a seperate part and will be attached to the right thigh. 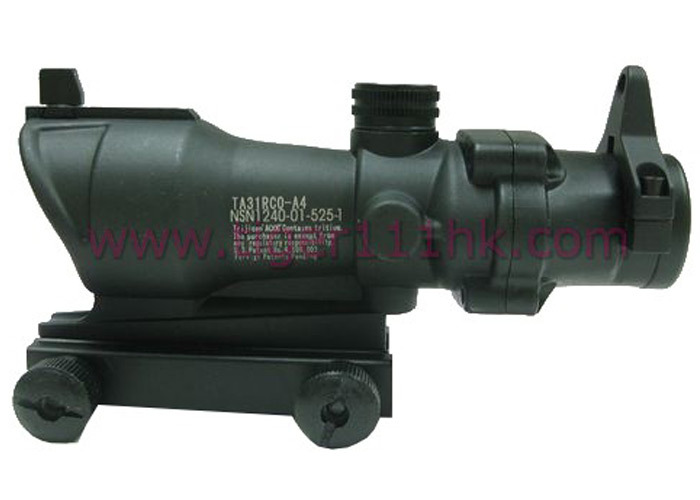 AN/PEQ-2 - ITPIAL Infrared Target Pointer-Illuminator-Aiming Laser is given as a seperate part. Not much need for a cleanwork with its high quality casting, ease on assembly with less parts, ease on painting with its crisp details, very nice subject and extremely good sculpting of Sergey. This is absolutely a must for all painters of the period. It can be displayed alone or better to put him next to the other members of SF team. Good news to know 4th and 5th members are also ready for action. Highs: Nice subject, great sculpt in very good details, easy to assembly with less parts and great cast w/o any mistakes. Absolutely a perfect figure. Our Thanks to Evolution Miniatures!